Particles are ubiquitous and therefore understanding their behaviour is essential. Obtaining a thorough understanding of bulk particle behaviour is prohibitively difficult, if not impossible, using only physical experiments. Simulations are often used to supplement laboratory experiments or field measurements and provide detailed information which cannot feasibly be obtained using experimental methods. 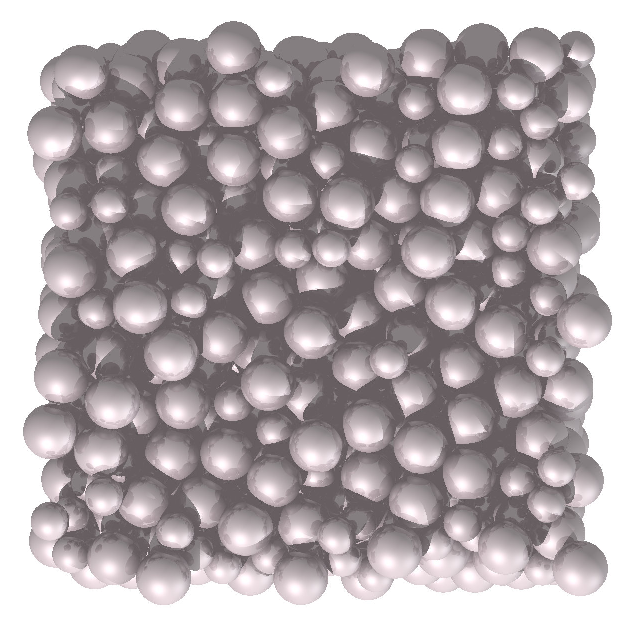 Within the area of particle technology, the discrete element method (DEM) has become especially popular; it is capable of giving great insights into the behaviour of real materials using a small set of input parameters, and now sufficient computational power is available to researchers to enable simulations to be run which are of practical use. This presentation centres on a DEM study in which energy terms are accurately quantified during triaxial loading of a granular soil. An input of mechanical work at the boundaries of the sample is partly converted into strain energy at the interparticle contacts and kinetic energy of the soil particles. However, the majority of the input work is dissipated by frictional sliding between particles. The evolution of these traced energy terms is shown, along with the existence of a preferential angular orientation at which most frictional dissipation occurs. These energy results, originating from accumulations of per-contact and per-particle terms, are compared with the results predicted using commonly-used constitutive models of soil behaviour. While this study will be the central focus of the presentation, other examples of the presenter’s research will also be discussed briefly with a view to encouraging potential collaborations. Kevin Hanley graduated from University College Cork, Ireland, in 2008 with a degree in Process and Chemical Engineering and continued his studies with a PhD in the same institution. Afterwards, he spent 3 years as a postdoctoral researcher in the Department of Civil and Environmental Engineering at Imperial College London. This research was undertaken as a Brunel Fellow, funded by the Royal Commission for the Exhibition of 1851. In September 2014, he took up his present role at Edinburgh as a Chancellor’s Fellow within the Institute for Infrastructure and Environment. His research is within the broad area of powder technology and granular flows, centred on three specific topics: pneumatic conveying of particulates, simulations of sheared granular soils and the methodology underlying discrete element modelling.